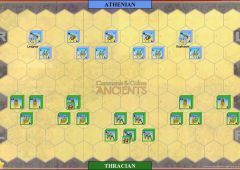 The resource-rich Athenian colony at Nine Ways, a site located in Thracian territory near various supplanted barbarian tribes, sought to expand in 465 BCE in order to claim nearby gold mines. 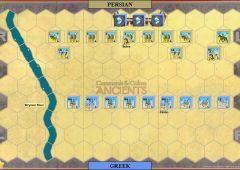 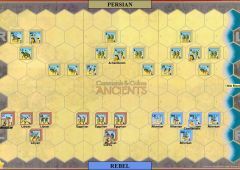 After mobilizing an army of hoplites and supporting light troops under command of the generals Leagrus and Sophanes, the colonists were surprised and attacked en route by a numerically superior barbarian army near Drabescus. 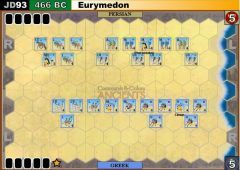 In the ensuing battle, the mobility of the recently unified Thracian tribesmen proved superior to the slow-moving Greek force, as the phalanx was slow to form and showered repeatedly by ranged weapons until finally surrounded and overwhelmed. 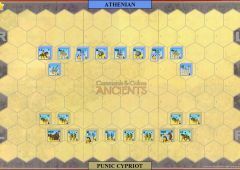 The defeat led to the failure of the colony, one of the few major setbacks for Athenian colonial dreams during this period of expansion and international intrigue throughout the Mediterranean.